Chaos and Solace. What a name. What a promise. What a disappointment. For a place that promises with its name both risk and relief, this suds-shack delivers little of either. 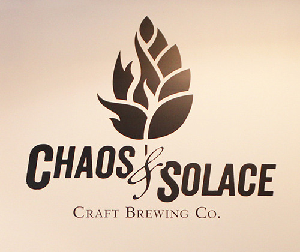 Located in a brick box in downtown Chilliwack, this brewery seemed like the attempt of a marketing student with little brewing experience trying to cash in on the B.C. Beer Rush. The beers were uninspired. While it was unequivocally the best brewery in downtown Chilliwack, it was also the only brewery in downtown Chilliwack, and even downtown Chilliwack deserves better. Their beers were of the starter brewery variety, but most had serious off flavours. Even though the reviewing caravan had been hungover and hankering for some hair-of-the-dog, more beers than usual were left unfinished on their tables. The brewery was, at the time of the review, hosting the Chilliwack Historical Society’s travelling exhibition “Brewer’s Gold”, a series of posters illustrating the history of hops harvesting in the Fraser Valley. It was fascinating stuff: tales of rags to riches ragamuffins, racism, recession and recovery. It was the best part of the brewery. It sounds mean, but when evaluated honestly as a beer-making establishment, Chaos is barely adequate on pretty much every count one judges breweries in the region. The heart is in the right place, but there are dozens and dozens of better offerings we would recommend first. In the time since we reviewed, they’ve had an ownership change — we hope that portends an improvement in quality as well. I love reading about the breweries in your area. It’s interesting to find trends in the North.